I originally created the email account “save78615@aol.com” in an effort to get signatures on the petition to help save our Coupland Post Office. While it was successful in getting a large number of supporting signatures, as it turned out, the United States Postal Service had already made its decision to reduce or eliminate postal service to 78615 and totally dismissed our efforts to show how important it was for Coupland to retain a full time, full service post office. 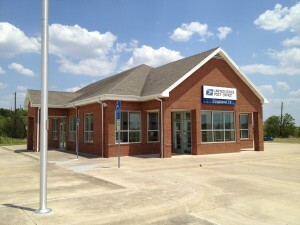 The Postal Service spokesmen at the community meeting (one was the Postmaster from Pflugerville, who knew NOTHING about Coupland) claimed the main issue was that the Coupland Post Office did not generate enough revenue to cover its operation costs, yet many of the things that would help generate revenue were denied to the post office. For example, our post office lacked a trained Postmaster and a postal tape machine. In addition, there was a period when we experienced “Postmaster of the month” and, while stamps were ordered by the temporary Postmaster, they were not sent to the Coupland Post Office in any thing resembling a timely manner — it took weeks (if ever) rather than days. You can’t buy stamps if there aren’t any for sale. The solution of the Postal Service was to cut service, which in reality will further cut revenue making for an unending spiral with the ultimate goal of discontinuing postal services at 78615 and placing Coupland into the Taylor or Elgin domain. We might keep the same zip code but lose the Coupland address and any postal needs (certified mailing, etc) will require going to one of those other post offices. The reason I am going back over that brief history is that during this holiday season with all the Christmas mailings, this would be a good time for Coupland Post Office patrons to utilize the local post office to buy their stamps and ask their nearby friends in other zip codes to do the same. Such a spurt in increased revenue might be enough to help keep the post office operational for a while longer. There are many benefits to the Coupland Post Office such as no long waiting lines, helpful service, convenient highway location, etc. We either use it or lose it. Limited hours are better than no hours. From another angle, if you buy and print stamps on your computer, be sure to use the 78615 zip code so the Coupland Post Office will get the credit for the sale. The Postal Service is concerned only with the amount of revenue the post office generates, not the number of mail items that it processes. If you shop at HEB, or any other store where they ask you if you need any stamps, let that be a reminder to you to just say no and head to your friendly, local Post Office to buy your stamps. Say hello to Christie while you’re there. She knows all her customers and she goes the extra mile to provide great service to her patrons. This entry was posted in Government Policy, Opinion & Commentary and tagged 78615, Coupland Texas, Karen Marosko, Post Office on December 14, 2013 by Stewart Dale Spencer. Thank you, Karen! We love going to the Post Office and visiting Miss Kristi and I would hate to see her lose her job or for our sweet little meeting place to close. Please let us know if there is anything else we can do. We mailed something to Russia from our Coupland Post Office so that was $8.00 more than before. But nothing can replace our fun times there and making memories with the kids!